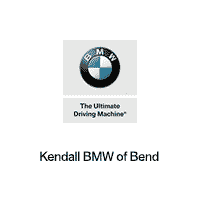 If you are in the market for a new or used BMW, then you will want to check out BMW of Bend, serving the Redmond and Prineville areas. We have a wide variety of new and used BMW cars and trucks on our showroom floor and on our used car lot, including a large inventory of Certified Pre-Owned models for you to check out! Worried about financing the purchase of your next BMW? Don’t worry–here at BMW of Bend, near Redmond and Prineville, we’ve got you covered. Not only have we forged great relationships with tons of lenders and financing companies, we also have a team of experienced BMW dealers standing by to walk you through the whole process–from picking the right vehicle all the way down to driving off our lot. Sure it can seem overwhelming and daunting to finance a vehicle, but at BMW of Bend we make it an easy and simple process whether you are looking for a new or used BMW. Finance through us and you won’t have to worry about gimmicks or tricks when it comes to your financing terms. We can even help you refinances a vehicle you currently own! We’ll work with you and your credit to make sure you get into the car of your dreams! Get on down to your trusted BMW dealer today!